It was very interesting to see the Liv-ex July market report end with an article entitled: “DRC – A luxury product”, because at Amphora we have been banging the “fine wine as a luxury product” drum for some years. This is important because it represents a considerable back stop to the investment aspect of the market place, the closest thing we have to a Greenspan put! 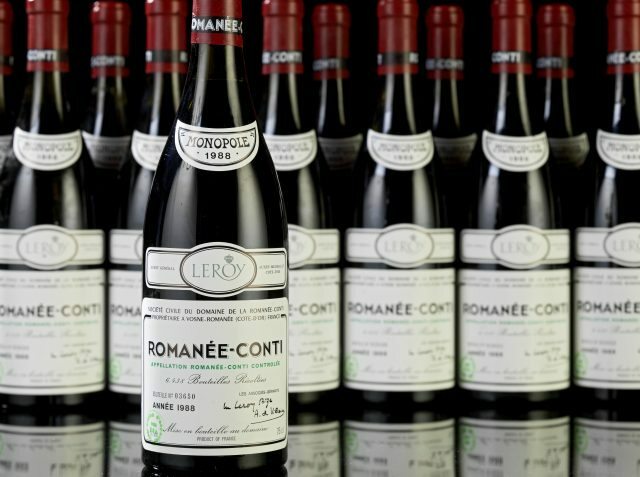 Some might argue that his excessive monetary easing prompted the financial crisis, but the fine wine market is insulated against increases in supply, by both statute and geography. What Liv-ex have tumbled to is the similarity in price movement between DRC, in its various forms, and the LVMH share price. We published a note to this very effect back in 2015, a report which now seems gratifyingly prescient. After a period of adjustment to account for the Chinese anti-corruption drive the share prices of most high-end consumer discretionary companies have had a whale of a time. As have fine wine investments. When you read analysis of this sector, the importance of China and India cannot be underestimated, but it is highly competitive, and what is becoming increasingly important to the “Millennial customer” is the preference for what the Deloitte Fashion and Luxury Report calls “services and ephemeral experiences over objects and goods”. A simple example might be instead of going to buy an engagement ring you actually participate not just in its selection of stone, but its manufacture as well. Vendors strive to make the purchase as holistic an event as possible. Well we are biased, of course, but you can’t get a much more interactive affair than a wine-tasting as prelude to picking up a bottle or two, as Berry Brothers have spent over 300 years illustrating. From visits to both China and India we constantly come across people who have had wonderful holidays in Napa Valley and Piedmont, adventures they are very keen to share and repeat. In Bordeaux this has often resulted in Chinese ownership of some of the smaller chateaux, and that only because the larger ones are not for sale. What is also interesting is that the LVMH (Louis Vuitton Moet Hennessy) share price is at an all-time high, having in a mere 2 years gone from 150 to 300, despite concerns over a slowdown in China and the much-trumpeted trade war threats. Remember too that its products are priced in Euros which is very much at the stronger end against both the Renminbi and the Rupee. This suggests to us that these luxury items are pretty much insulated from a general economic slowdown because the degree to which the developing market millionaires and billionaires are affected is all relative. Notwithstanding, as investment advisers we must now guard against the perception that the market, even for Burgundy, only goes one way. That was the trap many fell into back in 2011 with Bordeaux, but it is worth pointing out that there was an awful lot of ramping back then. Speculators particularly in Asia bought up stock on the basis that they would be forever able to palm it off onto the next bloke, a strategy which as we all know fell on its face. The volumes at work in Burgundy are much much lower however, suggestive of an environment within which the operators are all aware of where the potential buyers reside. The collateral benefit of this is that a consolidation, or even correction in Burgundy prices will not have any broad market impact. Prices are so high especially in DRC World that the market will just think a bit of sanity has been restored. Buyers won’t head for the hills. 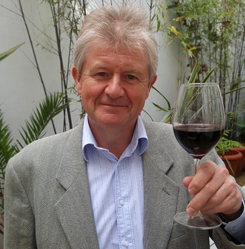 We have also noted recently that a lot of fine wine market commentators have been obsessing about the currency: “Sterling didn’t weaken in July, so the market was flat”, goes the refrain. We can’t get away from the fact that the secondary market is denominated in Sterling, nor do we want to, but as far as Amphora is concerned we are just going through the customary hot summer torpor. For currency market watchers we only have positive things to say anyway. Interest rates in UK rose recently only to give the Bank of England wiggle room in the event they need to come down again. As Japan has clearly demonstrated, negative nominal rates have less impact than falling real rates. It is extremely hard to imagine a scenario in which Sterling strengthens over the next 12 months, as we approach whatever solution the Brexit negotiations throw our way. The fine wine investment backdrop looks like this: supply is limited, but from time to time (2017 en primeur currently, as an example), there is congestion in the distribution channels. Supply evaporates as wines are drunk, and remaining stock improves in desirability as it ages in the bottle. Demand in general increases as Sterling depreciates. Demand is increasing as appetite from developing market HNW individuals appreciates. Much of that demand is new, and as the LVMH share price movement confirms, it can have a material impact. Now is not the time to underweight your fine wine exposure. As it happens this is usually a good time to pick up bargains; as the summer lethargy drags on, it is often possible to pick up wines which are drifting around at the wrong price. Do you have any information about the Charles-Winn wine brokerage? I’m doing due-diligence on the company. I would be very suspicious about Charles-Winn. They have six google reviews that were all posted three months ago and all very favorable, but with names that seem really implausible. Seems like a bunch of fake reviews. And they have posted several YouTube videos only in March 2019. They were advertising for sales reps in London UK earlier this year. While they claim to date from 2006, there is not a crumb of evidence on the internet to support a claim they have been in business earlier than last year.